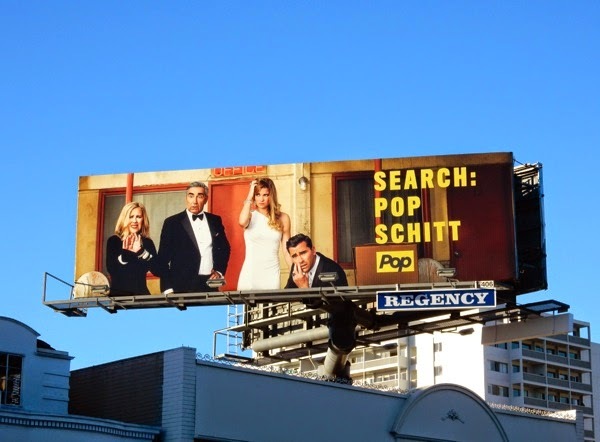 Daily Billboard always likes a nice sequential tease and reveal ad campaign, but we're not sure we would have placed such emphasis on the established stars on the new Schitt's Creek series, over the show's title itself. 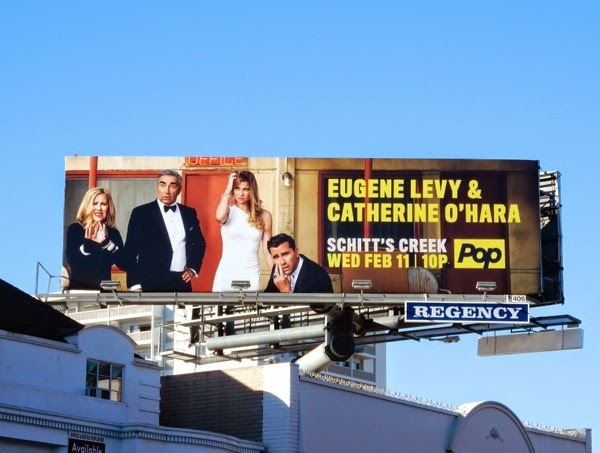 The new Canadian sitcom starring American Pie's Eugene Levy and Home Alone's Catherine O'Hara is the first scripted series on Pop, the recently rebranded TV Guide Network (or TVGN). Levy's real-life son Dan also stars as his on-screen progeny, when their opulent family are dealt a blow when the government tax department seizes their assets and they are forced to live in a sleepy town, Schitt's Creek, which the father once bought for his son as a joke. Annie Murphy rounds out the 'Rose' household as their daughter, as the family are forced to build a new life for themselves in this community they own. Oh, how our hearts bleed for them (especially as they look like your typical rich Beverly Hills socialite family). 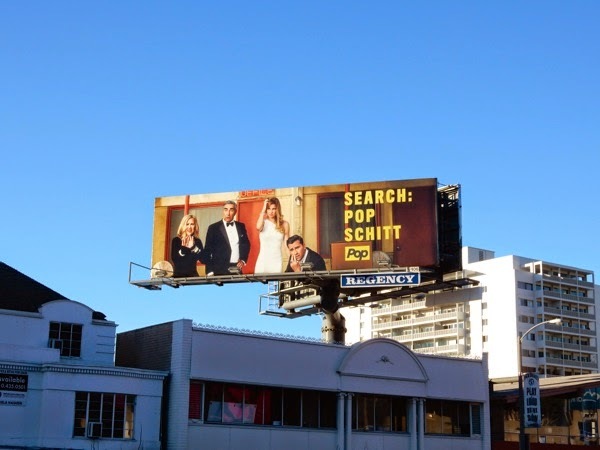 These billboards spied along West Hollywood's Sunset Strip on January 23 and later on February 1, 2015, don't quite convey the family's dire situation and whilst Daily Billboard was in Vancouver, B.C., recently we spied a much more evocative ad campaign for the new sitcom (which was basically poshly dressed people in uncomfortable situations). 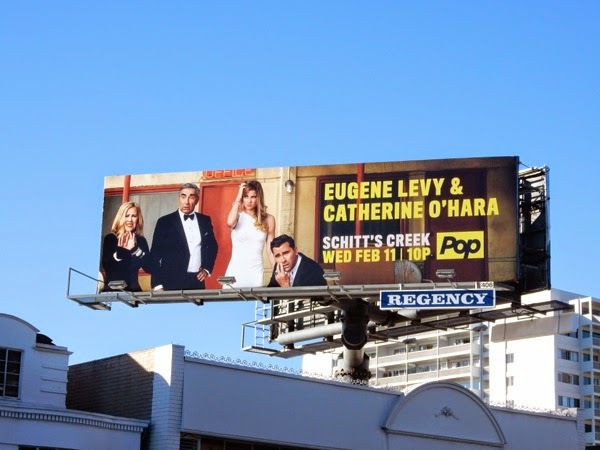 You can also check out Eugene Levy in this American Reunion movie billboard from 2012. One thing's for sure though, life won't be smelling of roses as this family winds up in Schitt's Creek without a paddle.